A Choora is a set of 7-9 bangles, usually red and white and are worn by an Indian bride on her wedding day. 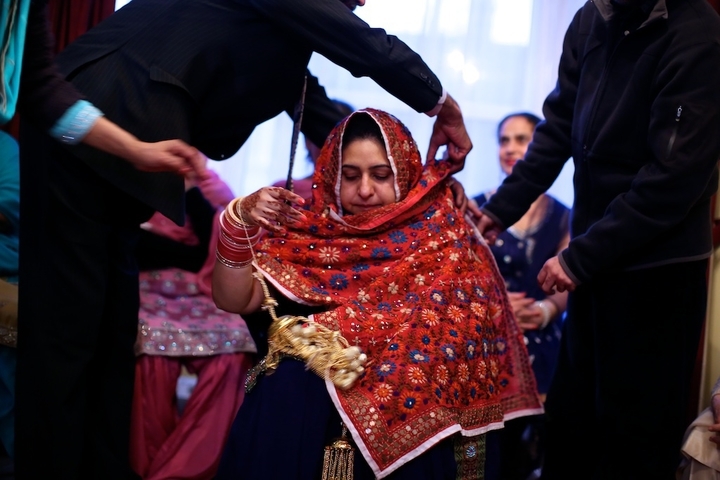 The choora ceremony is traditionally held on the morning of the wedding, but the modern bride will often arrange a family gathering a few days before the wedding. The bride's maternal uncle and aunt will place a set of choorae on her arms, having first cleansed them in milk. I love this ceremony - always full of fun for the family and emotion for the bride.